Welcome to the new Rotary Botanical Gardens (RBG) Education Blog! 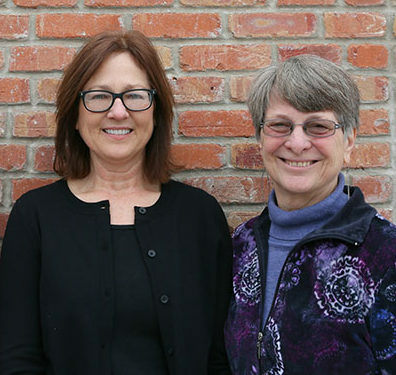 This blog will feature weekly posts by three employees of the Gardens: Pam Glogowski, Janice Peterson, and Patrea Wilson (all trained Master Gardeners). More information on these three ladies is included at the end of this post. Future blog posts will feature our favorite plants, gardening books and tools, and will include gardening advice, RBG events and collections information, garden critters, and many other topics. We will occasionally feature guest contributors on the blog and we encourage feedback and questions from you, our readers. To contact Pam, Janice or Patrea click here to send us an email. For our first RBG Education Blog post let’s start out with our favorite topic….plants! 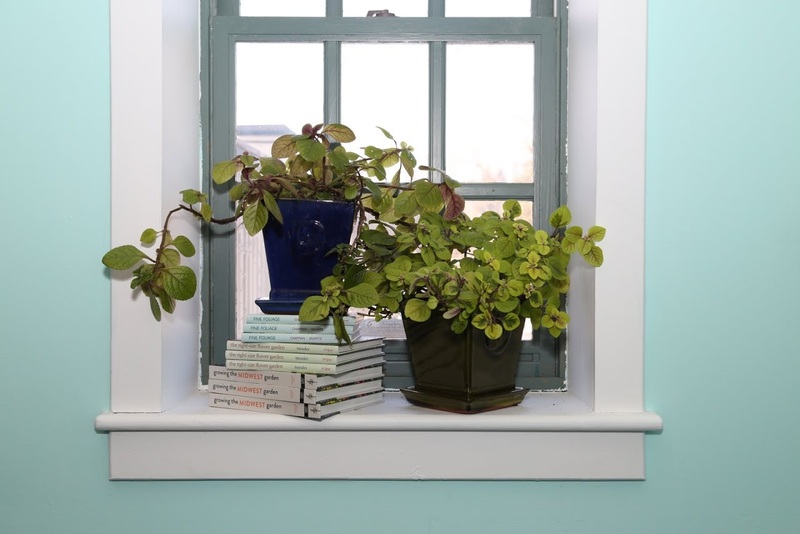 Winter is the season that we gardeners attempt to keep our favorite tender plants alive by bringing them in the house for warmth and safekeeping. Like all of you, I have achieved mixed success with these attempts over the years. My best results this winter are being produced on the window sills of the office area at RBG that I share with co-workers Polly and Marcia. 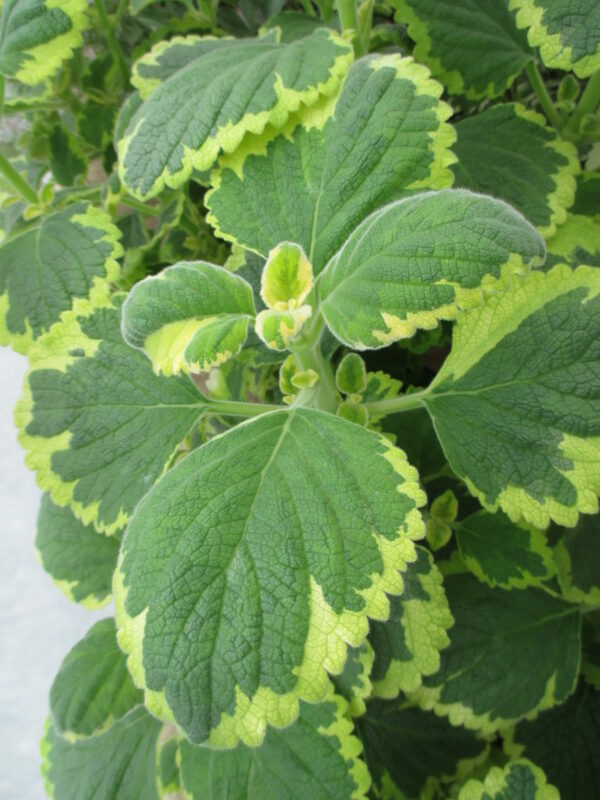 This variegated Plectranthus is a favorite of mine to use as a filler in containers and hanging baskets. The light leaf color with dark variegation also makes it stand out in the dappled shade garden where it spreads up to twelve inches high and thirty-six inches wide. ‘Nico’ can be used as either a filler or spiller in containers or hanging baskets. The backs of the leaves are purple and provide interest when used in a basket that hangs at eye level. 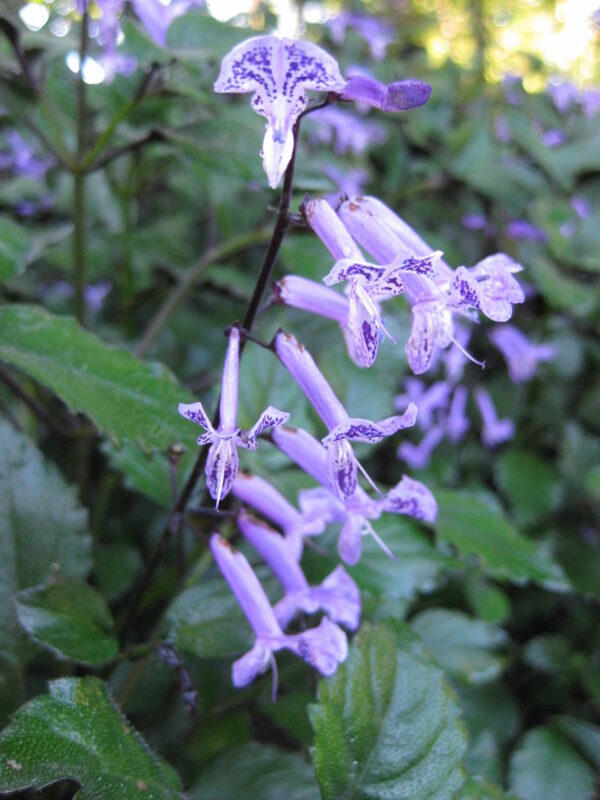 Mark Dwyer, RBG’s Director of Horticulture, uses Plectranthus in the Gardens every summer. The ‘Silver Spurflower’ can work well in large containers or in the border garden where it will reach a height of about thirty-six inches. It mixes well with purple- or red-leaf coleus. 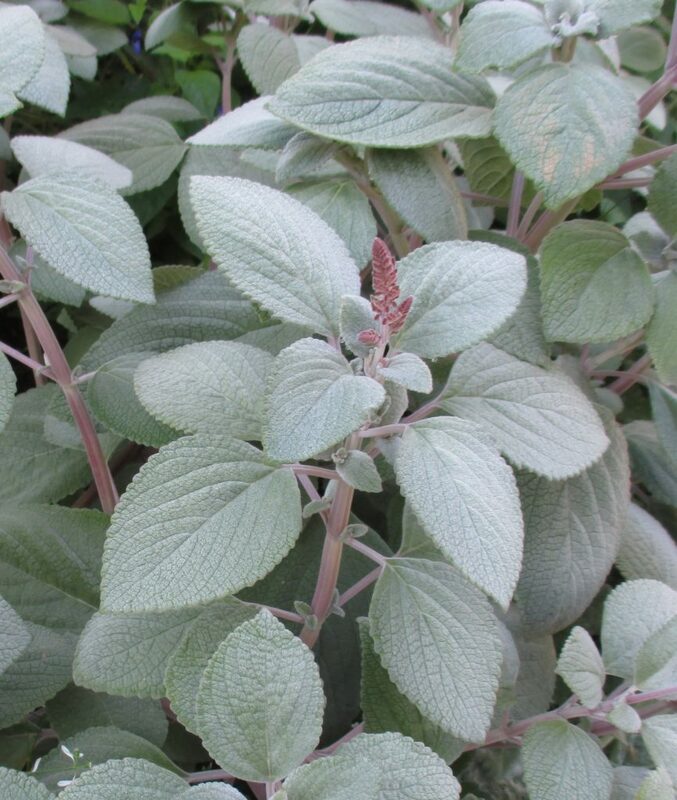 ‘Lemon Twist’ is a work-horse variety of Plectranthus that has fuzzy green leaves with a lemon yellow scallop on the edges. 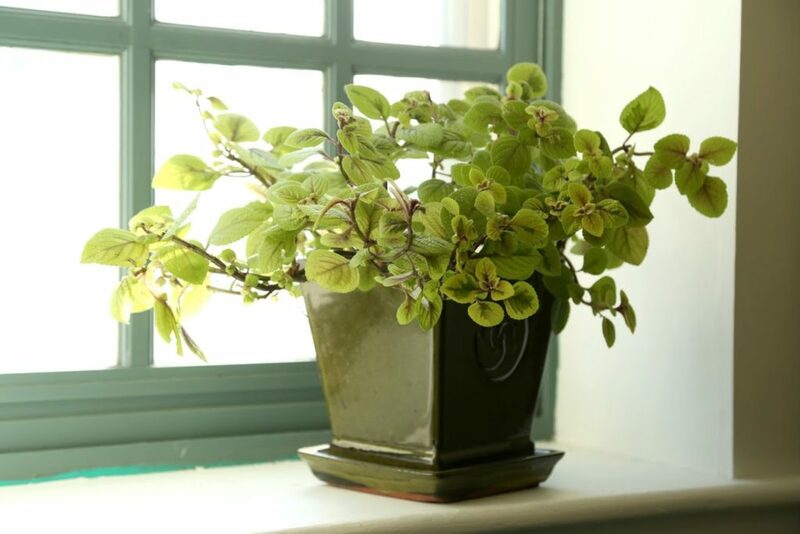 It is a quick-growing, sturdy upright plant that has a nice lemon scent. It can be planted in full sun, partial sun, or full shade, and is amazingly heat tolerant. 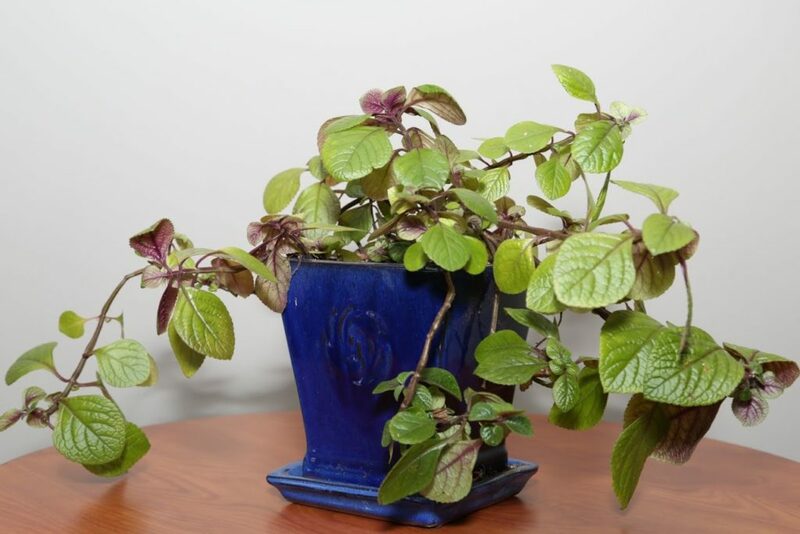 Plectranthus, commonly called Swedish ivy, is a genus of plants that is part of the mint family and includes about 350 species from Africa, Madagascar, Asia, Australia, and the Pacific Islands. It is a close relative of coleus (Solenostemon), and like coleus, is used in the garden primarily for its outstanding foliage. ‘Mona Lavender’ is an exception to this rule, however, because it produces attractive lavender flowers over a long period of time. Blooms are 1”-2” long on 6” spikes and create a beautiful show when planted en masse. Plan to attend the first installment of RBG’s 2017 Evening Garden Seminar Series on January 26, at 6:30 p.m. Phillip J. Pellitteri, Distinguished Faculty Emeritus of the UW-Madison Entomology Department and frequent Wisconsin Public Radio contributor, will present the lecture, “The Bugs You Love to Hate.” Learn about new insect invaders from the southern U.S. and from Asia, and about other common garden pests in our area. Cost is $5 for non-members, $3 for RBG Friends members, no registration required for the seminar at Rotary Botanical Gardens, 1455 Palmer Drive, Janesville, WI 53545. Photo credits: Thank you to Mark Dwyer and Marsha Mood for supplying the photos for this post. Patrea Wilson was born into a plant-loving family. Her dad ran the Waukesha Floral Company and her mom helped feed and support them all with her own vegetable garden. Her first paying job, at age 10, was working for a local “truck-farm” where she pulled and bunched radishes, picked strawberries, and hoed the beans. She has volunteered as a “dirt gardener” at Rotary Botanical Gardens, helped research and write descriptive signage for the Heirloom Garden, the Jefferson Garden, and the Elephant Ear display garden. 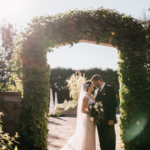 Patrea joined the staff of the RBG Cottage Garden Gallery in March 2016.